If you don’t see any useful suggestions when you type in a search, click the “Search for” link. That will take you to the Search page. 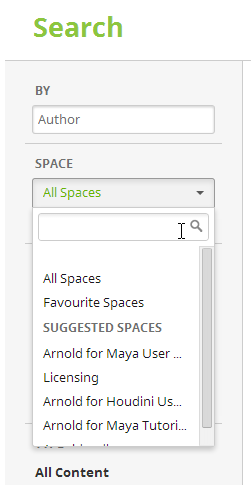 On the Search page, you can narrow down your search to a specific “space”, such as the Maya User Guide or the Softimage Tutorials. 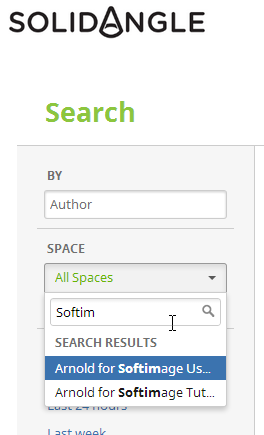 If you don’t see the space you want, just start typing “Softimage” or “Maya” or “Arnold” in the search box, and then you’ll see those spaces and you can search just that one specific space. You can also search for specific types of content, such as Pages or Blog Posts. 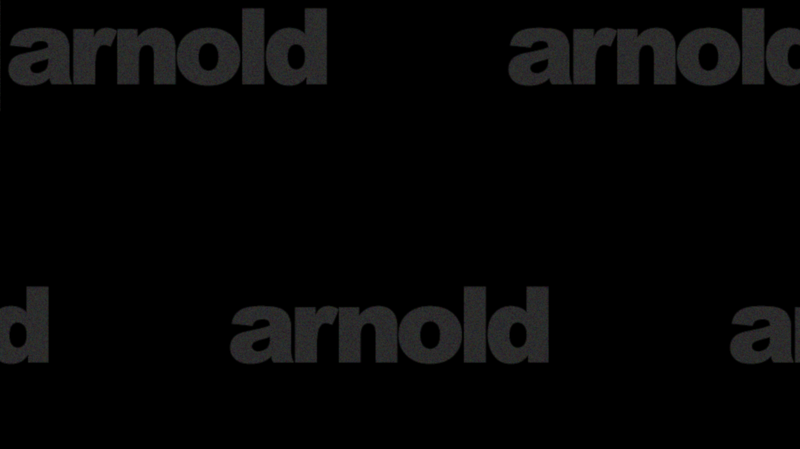 I often click Pages to get rid of all the images (attachments) that show up in the search results. 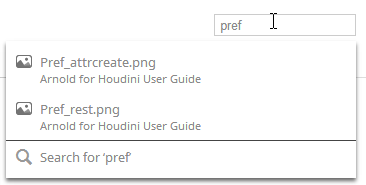 You might also want to enable Abort on License Fail (-ai:alf for render, -set options.abort_on_license_fail for kick).